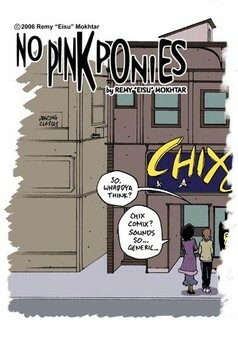 Accueil	> Liste des BDs	> Comics/BDs	> Humour	> No Pink Ponies! Jess, lectrice de comics, décide de lancer une boutique nommée "Chix Comix" pour (entre autres) vendre ces livres. Cela raconté avec humour bien sûr. 565 Commentaires sur les pages de No Pink Ponies! Bellatrice 15nov. 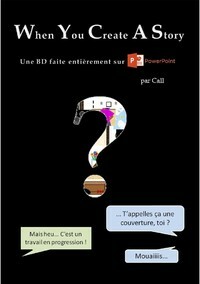 ch1 p146 Je te rassure ça s'arrange, tu peux tenter de suivre la suite en anglais sur le site de l'auteur. Malakoh 24août	ch1 p146 L'auteur à arrêté ? 565 commentaires dans d'autres langues. deathxhound 12oct. ch1 p4 actually you would be surprised how many of us are not like that. Ouroboros 29août	ch1 p147 really no matter how much you post these things i get a feeling i have seen these super heroes before. Bellatrice 20juin	ch1 p18 It wasn't a "normal" fly. It was yellow and... it's all I know. Death-carioca 20juin	ch1 p147 Hey, Superbman is awesome. Death-carioca 20juin	ch1 p133 After the Clone Saga Spider-Bee sucked. Death-carioca 20juin	ch1 p113 Oh, that's smart. Death-carioca 20juin	ch1 p109 Away from the Marvel concept. Spider-Man and Wolverine can meet. Batman is from DC. Just saying. Death-carioca 20juin	ch1 p78 Great speech. 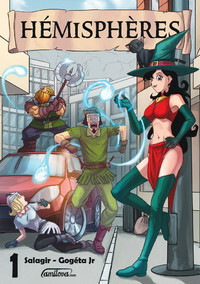 Death-carioca 20juin	ch1 p44 Really clever, I really like this comic so far. Death-carioca 20juin	ch1 p42 Here we go again. Death-carioca 20juin	ch1 p40 Okay, totallt mind-blown right now. Death-carioca 20juin	ch1 p37 Patience is the main key. Death-carioca 20juin	ch1 p34 Definetely one of the best strips.